Gorguts never being the most accessible of the death metal variety, experimental and rather unconventional in their approach. But in a genre bent on the moribund, bands like Gorguts offer the vigor and vitality much needed to proceed death metal into the current generation. It seemed as if Gorguts conveniently fell into obscurity, after From Wisdom to Hate; leaving behind a solid collection of music, most notably (in my opinion) Obscura. They alongside Death, Atheist, Pestilence and Cynic became purveyors of the technical and experimental side of death metal. All this being said, only to anticipate the excitement I felt when word was out about a new album in the works. It seemed this and some of the aforementioned bands felt a need to satiate hungry death metal fans, which they accomplished to do. Colored Sands thematically explores many spiritual and philosophical topics which entwines fascination and interest, while the music carries along a chaotic and oblique contrast. Speaking of which this album seems to be almost more melodic in its approach than other releases, maybe even more accessible in its ability to attain a listeners interest. Subtle strings resonate in quiet retrospect while a sudden impact of double bass and guitars explode. The production is regarded well, in regard to sound levels of each instrument, the bass doesn’t necessarily steal the show, but does remain a focal point of their iconic sound. Of course never missing is the agonizing and chaotic vocals of Lemay which, alongside bass are comparatively unanimous. I don’t know why it took me this long to write a review, considering I picked up the release upon release. I just had another listen to it last night, and forgot how incredibly great it is. 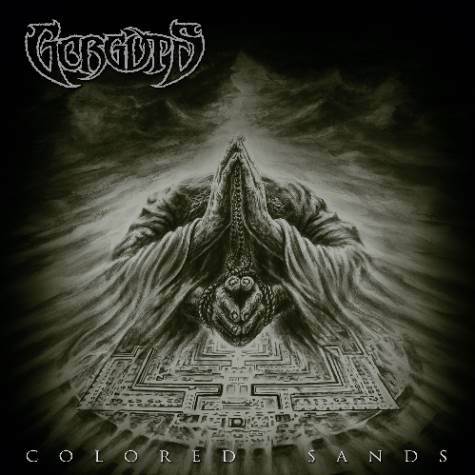 If you have not heard Gorguts before, consider checking out Colored Sands. I think this is a good release as an introductory offering of their sound, and if you can get into this I think it will only pique the interest to check out their other releases. This gets an incredible accolade in rating.